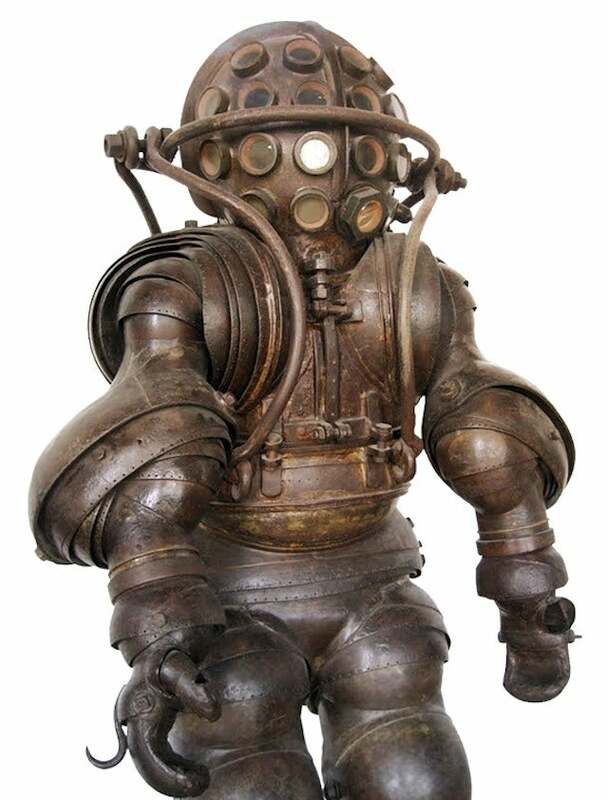 Today I fancied painting something completely different - so I painted this steampunk deep sea diver! I bought a pack of these awesome 15mm-scale 'Nemo Heavy Infantry' from Rebel Minis a couple years ago, purely because they looked so cool. I didn't have any plans for gaming with them at the time, I just thought the aesthetic & sculpting was brilliant (especially at such a tiny scale!). So many neat details on this model, but I especially like the breathing apparatus, the ornate cutlass, & what I am going to say is a repeating barb gun.